** Third was their worst finish of the year and it was at a 72 Team, Class A, USSSA Nationals! August 4-5, The 12-U Black team competed up at the 14-U level in the CT Bombers Last Blast in Franklin CT. Due to weather the team didn't compete on Saturday and played two pool games on Sunday. These saw a 5-5 tie vs the Shoreline Sting White and a 6-4 win over the R.I. Rebels. Later in the day the elimination rounds began and saw the 12-U team matched up vs the CT Bombers White 14-U team in the first round. The younger Bombers went down in a very close 6-5 decision. Finishing the weekend with a 1-1-1 record. The 14-U White team competed in the CT Bombers Last Blast in Franklin CT. Weather prevented Saturday play so the team played two pool play games on Sunday morning. Results were a 3-3 tie vs the R.I. Rebels and a 5-4 victory over the Shoreline Sting White. Elimination rounds started in the afternoon ans saw a walk-off 6-5 victory over the CT Bombers Black 12-U, and a Thrilling walk-off 7-6 victory over the R.I. Rebels on a suicide squeeze in the bottom of the seventh inning to capture the Championship. The team recorded a 3-0-1 record for the rain shortened weekend. The 14-U Black team competed at the 16-U level of the CT Bombers Last Blast in Franklin CT. Only one pool play game was played Saturday morning before heavy rain came through wiping out the day. That game ended with a 11-2 victory over the CT Hurricanes Aftermath. Sunday the team played a second pool play before starting elimination rounds. This game saw a 4-2 victory over the CT Tides White and earned the team the #1 seed for play-offs. The semi-finals saw a 9-0 victory over the CT Hurricanes Aftermath before falling 9-5 to the CT Bombers White 16-U in the finals. The team ended the weekend with a 3-1 record and a Second Place finish. The 16-U (White) team also played in the CT Bombers Last Blast in Franklin CT. The first pool play game on Saturday saw a 2-0 loss to the CT Tides White before the rains came and ended the day. Sunday saw one more pool play game which ended in a 12- victory over the CT Hurricanes Aftermath. Elimination rounds saw a 9-1 victory over the CT Tides White in the semi=finals before recording a 9-5 victory over the CT Bombers Black 14-U in the Championship. The team finished the final weekend with a 3-1 record. July 27-29, The 12-U Teal Team headed to Cranston RI for the Warriors Mid Summer Classic, a 12 team tournament. Friday evening started pool play with a 16-6 victory over the Central Mass Stingers. A unique accomplishment. The Teal team won two different games, in two different tournaments, in two different states on the same day! Saturday saw Pool Play end with losses to R.I. Rebels 7=0 and Smithfield Storm 7-6 earning the team the #9 seed for Sunday morning. Elimination rounds started and ended with a 5-2 loss to the South Shore Chaos. This ended the Teal season with a 25-35 record, 1 Second Place and 2 Third Place finishes. The 12-U Black team attended th Shoreline Stinger XI in the 9 team 14-U Division. Saturday Pool Play saw a 5-1 victory over the Shoreline Sting White 14-U, a 8-0 victory over the NWS Elite 14-U, and concluded with a 4-0 loss to the CT Hornets 14-U. Sunday elimanation games started with a 8-2 victory over the CT Mirage '04 (14-U) before falling to the CT Hornets by a 7-0 margin. Recording a 3-2 record for the weekend. The 14-U White team also competed in the 14-U division of the Shoreline Stinger XI. Pool Play saw a 2-2 tie with the CT Mirage '04, a 9-8 loss to the CT Tigers, and a 10-5 loss to the R.I. Rebels. Sunday saw a 13-3 victory over the Shoreline Sting White followed by a 9-7 win over the CT Hornetsbefore a 7-2 loss to the R.I. Rebels in the Semi-Finals, ending the weekend with a 2-3-1 record and Third Place finish. The 14-U Black team competed in the 7 team 16-U division of the Shoreline Stinger XI. Games showed a 5-0 loss to the Dutchess Debs, a 9-2 win over the Seymoure Tradition, and a 8-5 win over the Shoreline Sting. Sundays elimination rounds started with a 2-1 victory over the Seymoure Tradition before ending with a 6-2 loss to the Dutchess Debs. The team earned a 3-2 record and a Third Place finish playing up for the weekend. July 24-27, The 12-U Teal team attended the USSSA Northeast Nationals in E Hartford CT, the "B" tournament (by name if not by actual teams attending) was comprised of 18 teams, Tuesday saw a poolplay loss to Montgomery Twisters (PA) by a 12-1 margin followed by a 6-4 loss to the Saratoga Thunder (NY) Pool Play completed on Wednesday with a 7-3 Victory over Deep Run Lady Lightning (PA). Thursday was washed out (it is E Hartford) and the double elimination rounds started on Friday morning with a 10-2 loss to Fury Fastpitch (NY) followed by a 12-6 victory over Valley Storm (PA). At this point, due to the lost day the team had to make a choice as they were scheduled for a 6:00 PM game in another tournament in Cranston RI. The team withdrew from the E Hartford tournament, jumped in their cars and headed directly to RI. The 16-U team traveled to Salisbury MD for the USSSA Eastern Nationals and made a big splash! Poolplay saw a 10-2 victory over Hot Shots Pride (MD) followed by a 17-1 drubbing of the Pennsbury Gems (PA) before concluding with a wake-up 18-2 loss to S.C. Hurricanes Black (NY). Now the double elimination rounds begin. The team registered a 5-3 win over Saucon Valley Storm (PA), then a 8-4 win over Rapidfire (NY), a 6-2 victory over Olney Cougars Black, this earned the team a spot in the final six (4 winners, two losers, on Saturday. Game one saw a 6-0 victory over Infinity Shock (NY) then a 6-1 win over DP Dynasty Elite, before a 2-0 loss to Churchville Lightning (MD). In the fourth game of the day the squad went down in defeat to the Team Ohio Scarlett 15-0. This gave the team a Third Place Finish in the 72 team Nationals! July 21-22, The 12-U Teal team competed in the 7 team Nutmeg State Games in New Britain CT. The Pool Play started with a 7-3 win over the CT Angels, avenging a 13-1 loss from last Saturday, then a disappointing 5-4 loss after being tied 4-4 with one out to go in the game, and ended with a 10-0 shellacking from the Southington Lightning 05's. Oddly the 1-2 record earned the squad the #2 seed from our pool as three teams went 1-2 and Teal gave up the least runs. Sunday started on a positive note with a 16-3 win over E.G. Express, followed by a great 4-3 loss to the Diamond Club Black in the semi-finals. In the Bronze Medal game, the squad went down 11-3 to the Southington Lightning 05's. A better weekend than the 2-4 record would indicate. The 12-U Black team competed in the 7 team Nutmeg State Games in New Britain CT. Due to an odd schedule the Black team played only 2 pool play games winning the first 12-0 over the E.G. Express and dropping the second 3-0 to the CT Diamond Club Black. Sunday saw some retribution starting with a 6-0 win over the CT Angels, followed by a 7-5 victory over the Southington Lightning 05's in the semi-finals, and a 8-2 win over the CT Diamond Club Black in the Championship. A nice 4-1 weekend. The 16-U Team competed in the 8 team Annie "99" Olender Memorial in Southington CT. The march through the season continues. Pool Play saw a 7-2 victory over the CT Gators, a 8-0 win over the CT Eliminators Futures, and a 11-2 win over B.C. Explosion. The #1 seed continued their winning ways on Sunday with a 10-1 win over the CT Hornets in the semi-finals and a 2-1 victory over the CT Eliminators in the Gold Bracket Championship. a very nice 5-0 weekend. 7/19-20, The 14-U White team travelled to Salisbury MD for the 42 team USSSA Eastern Nationals. Pool play started with a 10-4 Loss to the Warrington Blue Thunder (PA), followed by a 6-4 loss to the Maryland Fever (MD), and concluded with a 11-2 victory over the Northeast Xtreme Teal Steel (MA). The double elimination Bracket Play saw a 8-6 victory over the Renegade Silver (NY), a 8-0 loss tot he Rotterdam Reign, a 6-5 win over the DB Inferno (PA), and finally a 7-0 loss to Team Long Island 2022 (NY). A difficult 3-4 trip. The 14-U Black team also attended the 42 team USSSA Eastern Nationals. They saw 4 pool play games with a 9-3 loss to the PA Outlaws Bartosh (PA), a 12-2 win over the Lady Ravens White (NJ), a 9-1 loss to the Bayside Breeze Black (MD) and finally a 11-0 loss to the Rotterdam Reign (NY). The double elimination Bracket play saw a 4-2 win over the SCC SWAT Gold (PA), a 1-0 loss to the Maryland Fever (MD), and concluded with a 6-4 loss tot he PA Strikers Protesto (PA). A rough 2-5 trip. July14-15, The 12-U Tealteam competed in the End of Summer Sizzler in East Hartford CT, a 24 teamevent. 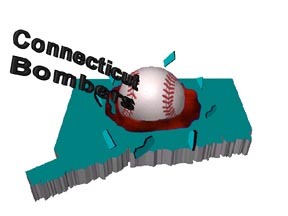 Pool play started with a disappointing 13-1 loss to the CT Angelsfollowed by an equally disappointing 9-0 loss to the MASS Dynamites beforeending with a better played 6-1 victory over the Batter’s Box Renegades. The1-2 finish gave the team the 17th overall seed and a spot in the Silver Bracketfor Sunday vs the 16th seeded Xtreme Chaos. The late start didn't help and theteam finished the weekend with a lackluster 8-0 loss to record a 1-3 record forthe weekend. The 14-U Whiteteam also played in the End of Summer Sizzler with 17 teams in their division.The team started slow a 2-2 Tie vs the CT Mirage, then a 15-0 win over theCoastal Storm and a 9-2 victory over the Team Nitro L.I. The team earned the #3seed and started elimination rounds with a 7-1 win over the CT Outlaws earninga spot in the semi-finals before heavy weather came through and made the fieldsunplayable. A disappointing end to a bright day with a 3-0-1 record for theweekend. The 14-U Blackteam traveled to Watertown CT to play in the 7 team 16-U Grows/Rapids Tune Up.Saturday saw a 5-1 win over the Seahawks Rich, a 7-3 loss to the ShorelineSting 1, and ended with a 9-4 victory over the Seahawks Dan. The 2-1 recordearned the team a controversial #3 seed, it appears #2 would have been proper,and pitted them against the Seahawks Rich again where they fell by a score of2-0. A 2-2 weekend playing up at the 16-U level. The 16-U (White)team also competed in the End of Summer Sizzler in East Hartford CT in the 7team 18-U event. Saturday saw a 6-3 win over WHIPS 18-U, a 6-2 win over theBlackstone Valley Venom (16-U) and finally a 10-0 win over the NWS Elite 18-U.The 3-0 record earned the team the #2 seed for Sunday. Sunday saw a 3-2 victoryover the Lady Wildcats Premier 18-U, a 7-1 victory over the WHIPS 18-U in thesemi-finals to set up a championship game with the #1 seeded Western MAWarriors. Unfortunately the heavy weather canceled the finals and the team wasawarded Second Place due to the seedings.Not bad for a young 16-U team playing up at the 18-U level. July12-15, The 12-U Black teamtravelled to Salisbury MD for the USSSA Eastern Nationals to compete in a 64team tournament. Pool play saw a 4-0 victory over Team Nitro '05 (NY) followedby a 7-2 win over East Coast Titans Black (MD) and concluded with a 3-2 loss tothe NJ Batbusters. The 2-1 pool play results gave the Bombers the second seedin their Pool and matched them up with the Jersey Shore Huskies in their firstelimination game. The double elimination process started with a 5-2 win overthe Huskies. Next was a 9-2 victory over the Bayside Breeze (MD) beforesuffering a 13-12 ITB loss to the Fielder’s Choice. Moving to the loser’sbracket the path started with a 9-3 defeat of the New York Bluefire before a3-2 elimination loss to the PA Outlaws Errico. Still a 5-3 trip netting theteam a 13thPlace finish out of 64 teams. July 7-8, The 12-U Teal team attended the Summer Extravaganza, a 7-team tournament in Meriden CT. Pool Play went well with a 7-2 victory over the Shoreline Sting Gold followed by a 7-2 win over the NYS Warriors, and a 13-0 victory over the Enfield Fireballs. Due to the odd number of teams Teal picked up an extra Pool Play game that didn't count for their seeding. Unfortunately, this resulted in a 5-4 loss to the CT Seahawks Green. The 3-0 day earned Teal the #1 seed and a first round bye on Sunday. So, the day started in the semi-finals with a 12-0 victory over the NYS Warriors then a break awaiting the other semi-final before a 13-1 loss in the Finals to the CT Seahawks Black. Still a 4-2 weekend and a Second-Place finish. *The 12-U Black team attended the same Summer Extravaganza but in the 11 team 14-U division. Saturday's Pool Play went well with a 7-5 win over the CT Gators followed by a thrilling 8-7 bottom of the seventh walk off win over the Wolcott Eagles, and finally a 5-2 victory over the CT Mirage '03s. The day earned the Black team the #3 seed for Sunday's elimination rounds, Sunday didn't go quite as well and black suffered a 5-1 loss to the CT Gators. A 3-1 weekend playing up before heading to MD for the USSSA Nationals is hopefully a confidence builder. *The 14-U White team headed to the 22 team Summer Slam in East Hartford. Pool Play went very well consisting of a 9-0 victory over the CT Tides, a 9-1 victory over the CT Shock, and a 3-2 victory over the CT Seahawks. The 3-0 day, allowing only 3 runs, earned the White team the overall #1 seed and entrance into the Gold Bracket (top 11 teams) for Sunday. Sunday started with a 5-0 win over the CT Diamond Club Blue 12-U, followed by an 8-3 victory over the Pomperaug Panthers in the semi-finals before a 8-3 loss to the Empire State Huskies. The 5-1 weekend earned the White team Second Place in a sizable tournament. *The 14-U Black team Travelled to West Hartford for the 11 team Jungle Jamboree. Like the previous teams, Saturday went well. A 7-3 victory over the Wildcats, a 11-1 victory over the CT Hornets, and a 13-0 win over the Lady Wildcats Premier. Sunday began with a 12-0 victory over the CT Fury before a 4-1 loss to the Shoreline Sting. a respectable 4-1 weekend to be sure. *The 16-U team also attended the Jungle Jamboree with only 5 teams in their division. Saturday also went very well with a 7-2 win over the Shepaug Storm, a 5-0 victory over the CT Tigers, and a 8-5 win over the CT Hurricanes. Starting in the semi-finals on Sunday saw a 5-3 win over the CT Tigers before a 5-2 victory over the CT Hurricanes Gold for the Championship. A very nice 5-0 weekend. *The organization notched a 21-5 record with 1 Championship and 2 Second Place finishes for the weekend. 6/30-7/2, The 12-U Teal team travelled to Swansea MA to compete in the 8 team PONY New England Regionals. A different format with 2 Pool Play games for seeding followed by double elimination, All 8 teams played at 8:30 & 10:00 on Saturday, then seeding, then the first elimination game at 12:30. Teal did well with a 12-2 victory over the K.P. Pride followed by a 13-1 drubbing of the Lady Sting earned the squad the #1 Seed from their pool and matched them with the #4 Seed from the other pool the S.E. MA Xtreme who put up a much better game before Teal notched a 10-4 win to make it a 3-0 day. Sunday would start the way nobody wanted it to, with a 8:30 match up of the 11 year old Teal vs the 12 year old Black team. The older Black team was victorious by a 5-3 margin sending Teal to the losers side of the bracket for a 10:00 6-1 win over the K.P. Pride White and a thrilling 4-3 11:30 win over the South Coast Scream. This set up a 1:15 rematch with the Black team. The 4 games back to back to back to back was just too much for the young team who despite fighting to the bitter end dropped a 12-5 decision to end the hottest weekend of the year 5-2, both losses to the ultimate Tournament Champions CT Bombers Black, while finishing in Third Place. The 12-U Black team (obviously) also travelled to the PONY New England Regionals in Swansea MA. Pool play started with a little disappointment when a 3-0 lead turned into a 3-3 tie with the South Coast Scream, followed by a 6-1 victory over the K. P. Pride Green. The 1-0-1 record earned the Black squad the #2 Seed from their pool and a match-up with the #3 seed from the other pool, the Lady Sting who were quickly dispatched 11-0 giving the Black team a 2-0-1 record for the day. Sunday (the hottest day of the year) started with a 5-3 victory over the younger Teal team and a game off. Game two saw a tight 2-1 loss to the K. P. Pride Green. This set up the second meeting of the day vs the Teal team and a 12-5 win to advance to the finals and a third meeting of the weekend with the K. P. Pride Green. Both teams experienced player issues with the heat and agreed that this one game would determine the Champion rather than consider the possibility of another game immediately following this one. The Black team secured the Championship with a 5-1 victory. Notching their second victory over the Runners Up in three attempts. The Black team finished 5-1-1 for the weekend. NOTE; It has to be pointed out that the team competed all weekend with only 9 players and in fact played two innings of defence in the championship game with only 8 players on the field. WOW! The 14-U White team competed in the 18 team Firecracker on the Fourth, a 7-game guaranty tournament in East Hartford CT. Saturday saw a 4-1 Loss to the Brewster Rockets, a 6-4 loss to the CT Eliminators, and a 4-2 loss to the CT Titans Green. The remaining Pool Play games on Sunday saw a 4-0 loss to the Shoreline Sting before a 12-1 win over Team Nitro LI and a 9-3 victory over the Ridgefield Rebels. This tournament did something a little different. The top 9 seeds went into a Gold Bracket and the bottom 8 went into a separate Silver Bracket. The 2-4 record earned the Black team the #13 seed and a slot in the Silver Bracket. Monday started with a 8-3 victory over the Greylock Thunder followed by a 15-0 drubbing of the Ridgefield Rebels in the semi-finals and ended with a 7-3 Victory over the Shoreline Sting earning the White team the Silver Championship. The team ended the weekend with a 5-4 record over the three days of competition. The 14-U Black team travelled to Plainville MA to compete in the 8 team PONY New England Regionals. This tournament also did something different (must have been the weekend for different along with the heat) doing a three game Pool Play followed by double elimination. The three Pool Play games ended with an 11-2 victory over Raider Softball, a 8-2 win over the South Coast Scream, and a 4-1 win over the Eclipse Blue. The 3-0 finish required the team to play their first elimination game late Saturday which finished with a 6-0 loss to the K. P. Pride. Sunday started and ended with a 5-3 loss to the MASS Drifters Red giving the Black team a 3-2 record for the weekend. One has to question the scheduling that kept the team on site for over 12 hours on Saturday. It seems that the 3-0 finish to pool play was actually a handicap rather than an advantage. The 16-U team travelled to N Conway NH for the Mount Washington Valley Classic a tournament that has seen a CT Bombers team in the Championship every year that we have sent a team to compete. Pool Play started with a Friday game and a 2-0 victory over the N.E. Fusion. Saturday saw a 9-0 victory over the Barrington Blaze and a 7-0 loss to the Seabrook Titans, the 2-1 record earned the team the #8 seed out of 24 teams. Elimination games were an 8-0 win over K Zone Kraze, a 9-0 win over the Maine Sluggers, a 6-0 victory over the N, E, Fusion in the semi-finals and finally a 5-1 loss to the Seabrook Titans in the finals. The team earned a Second-Place finish with a 5-2 record with both losses coming to the tournament Champions. The Tradition remains in tact! For the Organization a 23-9-1 record with 2 Championships, 1 Second Place, and one Third Place finish. 6/23-24/2018, The 12-U Teal team travelled north west to Pittsfield MA after the cancellation of their CT Tournament to participate in the Battle in the Berkshires, an 8 team event. Pool Play saw a 15-0 victory over the Newtown Hawks, a 19-1 win over the Central MASS Crusaders, and concluded with a 11-3 victory over the East Coast Impact. Sunday the #1 Seed from each pool had a bye tot he Semi-Finals, the 4 seeds from each pool played a consolation game only, the Bombers Teal faced a hot Empire State Huskies. A great 7 inning affair ended with a 5-3 loss but a wealth of good plays, hits, and growth! A 3-1, Third Place, weekend. 12-U Black, headed to the 12 team Skirt in the Dirt tournament in Leominster MA. Pool Play went well with a 10-0 victory over the Northeast Xtreme Teal, an 8-2 win over the Dirt Dawgs Gold, and a 5-1 win over the Methuen Rangers. Sunday's bracket play continued with excellent results featuring a 15-0 drubbing of the Westford Waves, a 7-1 victory over the Dirt Dawgs Gold and a thrilling 2-1 victory over the Methuen Rangers for the Championship. a terrific 6-0 weekend. 14-U White, attended the Summer Sizzler in Prospect CT, a 7-team tournament. Pool Play went great with a 19-9 victory over the Watertown Rapids, a nip-tuck 4-3 win over the CT Titans, and a 6-5 victory over the Hockomock Rox. Sunday started great with a 12-2 victory over the Watertown Rapids before a 5-1 loss tot he eventual Runners-Up CT Seahawks. A respectable 4-1, Third Place weekend. 14-U Black, also attended the Prospect tournament with similar results. Pool Play consisted of a 5-3 win over Valley Fusion, a 6-3 loss to the Hockomock Rox, and a 4-3 victory over the CT Seahawks (eventual Runners-Up). Sunday started with another 6-3 victory over the Hockomock Rox before a 10-9 loss to the eventual Champions, Valley Fusion. A 3-2, Third Place, weekend. 16-U (White), attended the 18 team USSSA 16-U CT State Championship in East Hartford CT. Pool play went excellent with a 11-0 victory over the Empire State Huskies, a 7-4 victory over the CT Eliminators, and a 5-2 victory over the CT Dominators. As the #1 Seed Sunday continued their winning ways with a 11-1 victory over the Empire State Huskies, a 2-1 victory over Valley Fusion, a 4-1 win over Mass Drifters Navy in the semi-finals, and finally a 10-0 mercy of the Xtreme Chaos in the Championship. a perfect 7-0 weekend. Organization, 23-4 with 2 Championships and 3 Third Place finishes. 6/16-17/2018, The 12-U Teal team attended the Lightning Strikes tournament in Southington CT, a 16 team event. Pool Play was difficult with some bright spots, A 9-6 loss to the CT Seahawks Black saw a come from behind to tie the game and a legitimate Grand Slam by Maddy W., before seeing the game slip away. a 9-1 loss to the New York Bluefire, followed by a 14-12 loss to the Bulldogs '06. Seeded fourth in our group we had to play the Southington Lightning '05, the eventual Tournament Champions. While we tookit on the chin we saw some incredible effort and plays defensively and Taryn F got her first over the fence HR. More good stuff to build on. 12-U Black attended the same 16 team Lightning Strikes event. Pool play went slightly better with a 5-3 loss to the Wildcats followed by a 6-5 loss to the Shoreline Sting Gold before getting a 19-1 win over the Proswing Lady Pride. Sunday started with a 8-3 victory over the Northeast Hurricanes Salem before falling to the Southington Lightning '05, the eventual Tournament Champions, by a score of 4-2. 14-U White, played in our own 10 team Father's Day Slugfest in Franklin CT. Pool play went well with a 2-2 Tie vs CT Mayhem, a 12-2 victory over the CT Shock, and finally a 13-1 defeat of the CT Titans Green. The team seeded #3 for Sunday morning. Elimination rounds started with a 8-2 victory over the Ridgefield Rebels, a 5-1 win over the CT Bombers Black in the semi-finals and a 7-3 win over the #1 seeded Valley Fusion in the Championship. A terrific 5-0-1 weekend for the 13 year old team. 14-U Black, also played in the Father's Day Slugfest in Franklin. Pool Play was exemplary with a 12-2 victory over the CT Shock, a 8-0 win over the CT Titans Green, concluding with a 6-3 win over the Ridgefield Rebels securing the #2 seed for Sunday. Elimination started with a 7-1 defeat of the CT Titans Green before falling 5-1 to our own CT Bombers White in the Semi-Finals. A hard fought Third Place finish and a 4-1 record for the weekend. 16-U (White), traveled to Nashua NH to compete in the 8 team Granite State Summerstock. The weekend started with a 8-0 defeat of the Central MASS Thunder, a 6-2 victory over PLEX Blue, and a 9-1 win over the Northeast Hurricanes Blue. The 3-0 start earned the team the #1 seed for Sunday. The elimination rounds consisted of a 9-0 victory over the Methuen Rangers, a 8-0 victory over the Lady Cannons in the Semi-Finals and finally a 8-0 victory in the Championship over the N.E. Fusion. A perfect 6-0 weekend scoring 48 runs while allowing 3. For the Organization a 17-8-1 weekend with 2 Championships and a Third Place. 6/9-10/2018, Our 12-U Teal team ventured north to Grafton MA for the Tri-Town Round Robin, a 12 team event offering a 6 GG, perfect for our 11 year old team. The 5 game Pool Play started vs the best two teams in the event, a 15-0 Loss to the R.I Rebels, the eventual Champs and a 7-2 loss to the Wolcott Eagles Red. Saturday ended with a 5-4 win over the Newton Panthers. Pool Play continued on Sunday with a 7-2 win over the Dominators and a 14-0 victory over the Raiders Softball. This earned the team the West #3 seed and pitted them against the East #3 New England Shockwave. Our youngest active team allowed 8 runs before recording an out, then bore down and ground it out to an eventual 11-5 loss. All in all a lot of promising things over the 6 game (3-3) weekend. The 12-U Black, Traveled to Southington for a nice 12 team tournament in the Summer Lead Off, Pool Play started with an 8-0 no hitter against eh CT Shock, then a 5-2 victory over the CT Titans Blue, and finally a 13-0 victory over the CT Seahawks Green. Sunday elimination rounds started with a 9-0 victory over the CT Seahawks Green in the quarter finals, followed by a 8-0 victory over the New Haven Diamond Zone in the semi-finals with the day ending with a 1-0 loss to the Southington Lightning in the Championship. The 5-1 record earned the Black team a Second Place finish to a good weekend of softball. The 14-U White, traveled to see our friends in Swansea for a 20 team Xtreme PONY Qualifier. Pool Play was perfect with victories over Bay State Sharks (13-3) South Coast Scream (3-2) and R.I. Rebels (6-5). This earned the squad the #1 seed from their Pool. Sunday saw victories over CT Eliminators (13-3) and South Coast Scream (8-6) before a 14-3 loss in the semi-final game to the MASS Dynamites Blue. The 5-1 finish eard the White team a Third Place finish. Our 14-U Black went to the same 20 Team Xtreme PONY Qualifier in Swansea MA with a similar Saturday recording victories over S.E. MASS Xtreme (host, 9-0), South Shore Chaos (5-0) and Mass Drifters Navy (12-0) earning the #1 seed from their pool as well. Sunday saw a continuation with victories over the K.P. Pride (6-5) in the Quarter finalks, MASS Dynamites Red (9-7) in the Semi Finals, and MASS Dynamites Blue (10-0) in the Finals. The 6-0 record earned the squad the Championship. Finally our 16-U team attended the Bring on the Heat event in East Hartford CT. Pool Play saw a 2-1 win over Southington Lightning 2021, a 9-4 loss to the Empire State Huskies, followed bya 7-3 win over the Rotterdam Reign. Sunday began with a win over the CT Lady Knights Black (2-1) in the Quarter Finals, Empire State Huskies (2-0) in the Semi-finals, and ending with a 7-4 victory over the Southington Lightning Black in the Championship. A very nice 5-1 weekend for the first time out on 2018 circuit. 6/2-3/2018, The 10-U team attended the GROWS/Rapids Spring Bash in Watertown CT for a small 3 team tournament. Pool play went well with a 23-4 victory over the host CT Rapids, a 4-1 win over the CT Bullets, and finally an additional win over th CT Bullets by a score of 15-1. The 3-0 record have the Baby Bombers the #1 seed and a direct bye tot he Championship. Sunday saw the third straight encounter with the CT Bullets, which ended as the others had with a CT Bombers 14-2 victory capturing the Championship. The team finished their tournament season with a 17-12 record, 2 Championships and 1 Second Place finish. 12-U Teal attended the same GROWS/Rapids Spring Bash tournament with 6 teams in the 12-U division. Pool play went great with a 6-2 victory over the Rawlings Wildcats and a 10-0 win over the Seymour Tradition before the heavy showers made the field unplayable and the third game was canceled. The 2-0 finish allowing only 2 runs earned Teal the #2 Seed for Sunday. A late start didn't go well with the Rawlings Wildcats looking for atonement from Saturday's loss. Teal was beaten 12-0 to finish Third. 12-U Black also attended thie Watertown event and did quite well in pool play with a 7-1 win over the Shoreline Sting Gold followed by a 12-0 victory over the Watertown Rapids before the fields were lost to the puddles. The 2-0 record allowing only 1 run earned Black the #1 Seed. Sunday started as Saturday had gone with a 12-0 victory over the Shoreline Sting Gold. This was followed by a contentious battle against the Rawlings Wildcats ending in a bottom of the seventh come from behind 9-8 victory to win the Championship. Black finished with a 4-0 record for the weekend and avenged two previous losses to the Wildcats at the same time. 14-U White attended the Mike Arburr Memorial Tournament in East Hartford CT, a 14 team affair. Pool play started well with a 5-1 victory over the CT Fury. From there things went downhill with a 2-1 loss to the CT Gators and a 6-4 loss to the CT Gators Orange. The team seeded 9th and won their first game 8-1 over the Brewster Rockets before suffering a 6-5 ITB loss to the eventual tournament Champions Capitol District Fusion. 14-U Black started their outdoor season at the same Mike Arburr Memorial in East Hartford. Pool play went well consisting of a 15-4 win over the CT Seahawks, followed by a 13-2 victory over the Xtreme Chaos and a 5-4 nailbitter over the CT Fury. The 3-0 record earned Black the #3 seed for Sunday. Elimination rounds consisted of a 7-2 victory over ProSwing Lady Pride, 8-2 win over the CT Titans Green before a semi-final loss to the CT Titans Blue by a 10-9 margin. For their first time out, without any practices, the team went 5-1 and took Third Place for the weekend. 5/26-27/2018, The 10-U team attended the Strike Out Cancer benefit tournament in Southington CT this weekend. Saturday's pool play started with a 11-5 win over the Wolcott Eagles, followed by a 17-1 victory over the host Southington Lightning, and concluded with a 6-1 loss to the Rawlings Wildcats. The 2-1 finish was good enough for the #2 seed and a bye to the Semi-finals in this 6 team tournament. Sunday however didn't go as planed and the team dropped the first game, a semi-final, to the Seymour Tradition by a margin of 11-4. The team finished the weekend with a 2-2 record.The 12-U Teal team also attended the Strike out Cancer event. Pool play netted the team a 12-1 loss to the SHoreline Sting Gold, a 9-2 loss to the CT Fury, and a 16-2 loss tot he host Southington Lightning 05. The 0-3 record and boatload of runs allowed gave the team the #12 seed out of 12 teams. On Sunday the team lost the first game to the #5 seed CT Eliminators, going 0-4 for the first time of the Spring/Summer season. The 12-U Black team traveled to Lowell MA to play in the 16 team Memorial Day Classic. Saturday saw the team fall 9-5 to the South Maine River Rats, followed by a 9-3 victory over the Storm-Grady, and finishing with a 11-3 win over the Northeast Hurricanes - Seacoast. The 2-1 record earned the team the #6 seed for Sunday's elimination rounds. Sunday started with a 12-0 win over Storm-Grady, a 8-3 (8 inning ITB) victory over Northeast Hurricanes - Salem, and a 13-1 avenging victory over the South Maine River Rats in the semi-final round. The Finals saw a 3-2 8th inning win over the Methuen Rangers. This game was tied at 1-1 after 7 and was the second 8 inning ITB of the day. This gave the team a 6-1 record for the weekend and the tournament Championship. The 14-U White team went to Plainville MA to play in the 11 team Ed Keene Memorial Day Classic hosted by the KP Pride/Plainville Athletic League. Saturday's pool play started with a 5-2 win over the Raiders, followed by a 8-1 win over the RI Rebels, and a 9-0 loss to the Mass Drifters Orange. Earing the #5 seed for Sunday didn't help much as the team fell to the #12 seed South Shore Chaos in the first game by a 3-2 margin. 5/19-2018, The 10-U squad traveled to Johnston RI to play in the 5 team, New England Impact Spring Fling. Pool play consisted of a 13-6 win over the host New England Impact, a 16-3 victory vs the Lumber Yard Explosion, and a 9-8 win over the R.I. Thunder Gold. The team earned the #1 seed for Sunday getting a bye to the semi-final where they won 12-0 over the PIT Lady Nationals. This set us a rematch with the RI Thunder Gold for the Championship. The good guys prevailed with a 7-2 victory to cap off a 5-0 weekend by becomming Champions. The 12-U Teal team participated in our own Rose City Rumble, an 8 team affair held in Franklin CT. Pool play started with a 12-0 victory over the PIT Lady Nationals followed by a very well played 3-2 loss to the Shoreline Sting Blue. Pool play concluded with a forgetable 12-6 loss to the KP Pride Green. The day earned the team a #4 Seed for Sunday and a match-up with the older 12-U Black Bombers. This spiriterd affair ended with a 10-2 loss and a 1-3 record for the weekend. The 12-U Black team was also in the CT Bombers hosted Rose City Rumble in Franklin CT. Pool play started with a 13-4 win over the Shoreline Sting Gold. The second game was a 14-2 loss to the Rawlings Wildcats. The third scheduled game was rained out as we lost the field to the constant drizzel and occasional shower that came throughout the day. The team earned a #4 seed for Sunday. In the elimination rounds the 12-U Black team defeated the 12-U Teal team 10-2 advancing to the semi-final. There the Black team was victorius over the Shoreline Sting Blue by a score of 12-1 advancing tot he Finals and a rematch with the Rawlings Wildcats. The good guys seemed to run out of gas and dropped the Championship game to become Runners-Up by a score of 12-3 earning the team a 3-2 record for the weekend. Our 14-U White team traveled to Baldwinville MA to play in the Mass Destruction May Mayhem, an 8 team event. Pool play consisted of a 6-2 win over the Lady Mavericks and a 14-2 victory over the N.E. Hurricanes. Game 3 was rained out and the squad was seeded #1 for the Sunday eliminations. Sunday started with a 12-0 win over the NE Hurricanes, followed by a 10-5 win over the Lady Mavericks in the semi-finals advancing to the Championship game. In the finals the 14-U Whiote team had an 11-1 victory over the Zone Select in order to become the Champions earning a 5-0 record for the weekend and the young season. 5/12/2018, The 10-U squad returned to East Hartford for the CT Eliminators Mother's Day Classic, Pool play game one was a 10-3 loss to the Valley Fusion, followed by a 6-2 loss to the Rawlings Wildcats and finally a 8-0 loss to the South Jersey Gators. Sunday's elimination rounds didn't go much better with a 8-2 loss to the Rawlings Wildcats. A rough 0-4 weekend. The 12-U Teal started their outdoor season at the same 16 team tournament Pool play started on a positive note with a 9-2 victory over the PIT Lady Nationals. Game two was a 15-2 loss to the CT Tigers followed by the pool play being suspended due to weather. Sunday's elimination round started with a very well played 3-1 loss to the Shoreline Sting Blue. The 12-U Black, went to Meriden to play in a 5 team Shock to the System tournament. Pool play went great with a 13-0 victory over the CTR Shock (host) and a 4-3 victory over the Southington Lightning 05s and concluding with a 8-1 win over the CT Dominators. With the #1 seed in hand the team got a bye to the Semi-Finals where they dispatched the CT Dominators10-0 and won the Championship with a 4-3 win over the Runners Up Southington Lightning to complete a 5-0 weekend. 5/5-6/2018, The 10-U squad travels to Prospect to play in a three team tournament hosted by the Valley Fusion. Due to the number of teams two pool play games on Saturday will be followed by a double elimination Sunday. Game one was a 11-1 mercy rule game vs the CT Fury. Game two ended with a 4-2 victory over the host Valley Fusion. Sunday, after the Valley Fusion sent the CT Fury to the losers bracket in the first game, our 10-U team sent them to play again with a hard fought 2-1 victory. The Valley Fusion eliminated the CT Fury and came to play the Bombers once again. This time the fusion was victorious by a 9-6 margin. So the teams meet for the fourth time in just over 24 hours. The Championship was won by the Valley Fusion 13-3. The 10-U Bombers take Second Place with a 3-2 weekend spliting 2-2 with the Fusion. 4/28-29/2018, The 10-U team traveled to East Hartford for the Queen of Diamonds 7 team tournament. Playing only two pool games on Saturday due to weather. Game one pitted the Baby Bombers against the CT Diamond Club where they suffered a 10-3 loss. Game two was a teriffic game ending in a 3-0 loss to the Empire State Huskies. The first 10-U game of the E Hartford season to go a complete 6 innings within the 75 minute timeframe. The Sunday Elimination Rounds were called due to weather. 4/7-8/2018, Our youngest team, 10-U, traveled North to the Dome for their one and only winter competition starting with a 10-6 win over the Mid Hudson Rebels followed by a 10-1 win over the Miss Scotties. After a game break the team flattened out a bit in a 12-1 loss to the Gilderland Wolfpack. The 2-1 finish in the 6 team tournament earnd the Baby Bombers a #2 seed for Sunday. Sunday didn't go as well losing 4-2 in a well played game to the Seymour Tradition in the semi-finals. The 12-U Teal team ventured to the Danbury Sports Dome to play a one day (Sunday 4/8) 5 team tournament. Game one ended with a 8-5 loss to the CT Fury, game two was a 7-1 loss to the CT Titans Blue and the last pool play game was a 11-2 loss tot he CT Seahawks. The first elimination game pitted Teal against the CT Fury again and the CT Fury came from behind in the last inning with a walk off 6-5 victory over Teal. 3/23-25/2018, Time for the 12-U Teal to try their hand at a little competition. Once again we are in the Dome in Queesnbury NY for the weekend. The 11 year old team started with a 5-3 win over the Saratoga Thunder, followed by a 12-2 loss to the Adirondack USSSA Pride (who earned the over all # 1 seed on Saturday and the Tournament Championship on Sunday). The day concluded with a 13-6 loss to the Electric City Bombers. The 1-2 finish with 28 runs allowed earned the team the #13, out of 16, seed. Sunday saw a 15-2 loss to the #4 seeded NC Chaos Cryptonite ending the weekend 1-3. 3/9-11/2018, Our 16-U team went to compete in a 16-U/18-U mixed tournament in Queensbury NY, our winter home as it may be. In pool play they defeated the CT Titans Green 9-3, lost to the Adirondack Xtreme Gold 10-2, and defeated the NWS Elite 18-U 4-1. The 2-1 record earned the team the #6 seed, out of a 16 team field, going into the Sunday elimination rounds. First up was a win over the NWS Elite 16-U by a 9-2 margin. Second was an 8-0 loss to the CT Freedom 18-U who went on to finish second in the tournament. A 3-2 record in a mixed tournament is a nice advancement since the last trip. 2/24-25/2018, This weekend our 12-U Black team headed up to the Dome in Queesnsbury NY for their second Winter tournament. Pool play looked a bit daunting based on historical strength of the opponents. It didn't turn out that way. Game 1 vs Miss Shen Thunder saw our ladies triumph in a lopsided 10-0 match. Game 2 was only slightly better with our squad coming out on top of an 11-1 contest. The third and final pool play game was a test vs the L.I. Crush 05. The good guys came out on top of the 4-1 final. The 3-0 day, allowing only 2 runs, earned the 12-U Black the #2 seed and an 11:30 start on Sunday morning. Elimination rounds went well starting with a 7-0 victory over the Ulster Fillies immediately followed by a 7-2 rout of the Jersey Girls. Time for a game break before the semi-finals. The 3:30 game saw a 10-0 shellacking of the R.I. Bombers Elite. On to the 4:50 Finals vs the #1 seed from Saturday, the Dutchess Debs. The good guys jumped out to a 2-0 lead in the top of the first and it stayed just that way until the top of the 7th when we added 2 more for a 4-0 lead. The bottom of the seventh saw the shutout slip away giving up a single run before capturing the Championship with a 4-1 final score. The 12-U black had a 7-0 weekend outscoring the combined 7 teams by a 53-5 margin capturing their second Championship in as many tournaments! A 13-0 start to the 2018 season. 2/17-18/2018, Our14-U Black team headed North to Queensbury NY for their second tournament of the young 2018 season.The weekend had a late start (3:30 PM on Saturday) in this 16 team event. The first game was a 4-3 Loss tot he Infinity shock who would seed #6 and finish #3. The second game at 4:50 was a 2-1 win with a no hitter thrown by Abby Boya! Game three was a 9-1 Loss to the Dutchess Debs Black who would seed #1 and finish #1 (7-0 for the weekend). Our ladies seeded #10 after Pool Play. Sundaypitted our team against the #7 seeded Ulster Fillies. In a tight affairthe good guys prevailed with a 9-5 victory. This set up a game vs the #2 seeded MW Crusaders. This was not as close and we suffered a 6-0 Loss. The squad finished 2-3 for the weekend with the 3 losses being to teams who finished First, Second, and Third! Can you say rough schedule? 2/2-4/2018, our 16-U team traveled to Queensbury NY to participate in a 17 team tournament. Their first outing for the 2018 season was a bit difficult. In Saturday Pool Play they started with a 3-0 loss to the MW Crusaders (#3 Seed for Sunday) and followed with a 8-4 loss to Miss Shen (#7 seed for Sunday), a long time rival. Pool playended with a 10-6 defeat vs Stampede. The 0-3 finish earned the 15 seedand a rematch with #2 seeded Stampede in Sundays elimination bracket. After a well fought game the squad went down in defeat by a score of 4-3. This gave the team an 0-4 record for the weekend. Two of the lossesto Stampede who went 7-0 for the weekend while capturing the TournamentChampionship. CoachScott says "Despite the oh and four, I go home happy as I saw many great signs-not only in play but in attitude, effort, and focus." 1/20-21, Our 12-U Black team (12 Y/O) traveled North to the Dome in Queensbury NY for a 12 team tournament and had a very successful trip. SaturdaysPool Play consisted of a 7-4 win over the Classie Lassies Heat, a 12-2 win over the West Seneca Magic, and concluded with a 12-0 victory over the Electric City Bombers. The 3-0 run earned the team the #1 seed and abye to the Quarter Finals on Sunday. Sundaystarted well with a 14-1 defeat of the Mid Hudson Rebels advancing to the Semi Finals where the team pulled off a tight 6-3 win over the Infinity Shock advancing to the finals. Once there the team would not bedenied taking a mercy over the CT Fury 11-1 capturing the Tournament Championship. Congratulations to the entire team for a fabulous season kick-off weekend. 6-0 outscoring their opponents 62-11. 1/5-7, The new year starts with a couple of bright spots! Both of our 14-U teams traveled North to the Adirondack Sports Complex (The Dome) in Queensbury NY for a 16 team tournament. 14-U White started with a couple of games Friday evening, a 15-3 win over the Lady Reds followed by a 6-4 loss to the Empire State Huskies-Pecchia. On Saturday morning the team bounced back with a 7-0 win over the Northeast Xtreme Teal. So White went 2-1 in pool play allowing 9 runs. The 14-U Black team started, after White had finished, with a 5-2 loss to the Empire State Huskies-Pecchia followed by a 11-1 victory over the Lady Reds and a 10-2 win over the Bethlehem Elite. Black finished Pool Play 2-1 allowing 8 runs. Now the 5-1/2 hour wait for all the pool play games to be completed and seeding done for Sunday. The teams were seeded #3 (Black) and 4 (White) giving them each a 10:10 game time for Sunday morning. White, on field 1, defeated the Empire State Huskies-Sottile 4-0 while Black on field 4 defeated the Lady Bombers 14-2. Both teams move on to the Quarter Finals at 12:50. White matched up against the CT Titans and emerged victorious by a score of 5-4 while Black avenged their Saturday loss to the Empire State Huskies-Pecchia notching a 3-1 win. Both teams advance to the Semi Finals at 3:30. White matched up against the Northeast Xtreme Teal and advanced to the Finals with a 4-3 victory. Black matched up with the #2 seeded Dutchess Debs and were eliminated by a score of 5-0. Finishing the weekend with a 4-2 record and a Third Place. White played the Dutchess Debs in the 4:50 final and fought hard but went down by a score of 8-2. White finishes the weekend with a 5-2 record and a Second Place. Hardware! All in all a very good weekend for the teams and the organization.